Hi, thank you for joining the forum and for posting your question! Jim Pirzyk has done a magnificent job of lighting his 10181. 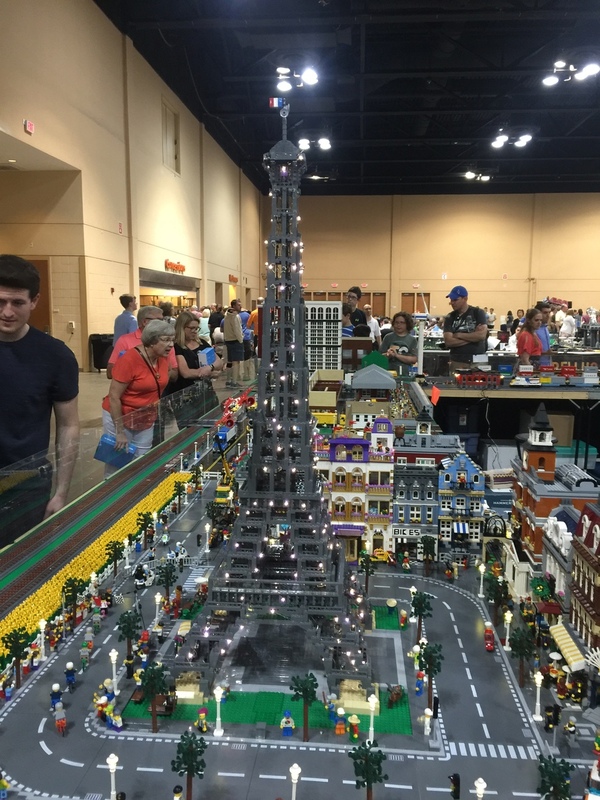 He had the model on display at 2016's Brickworld Chicago. 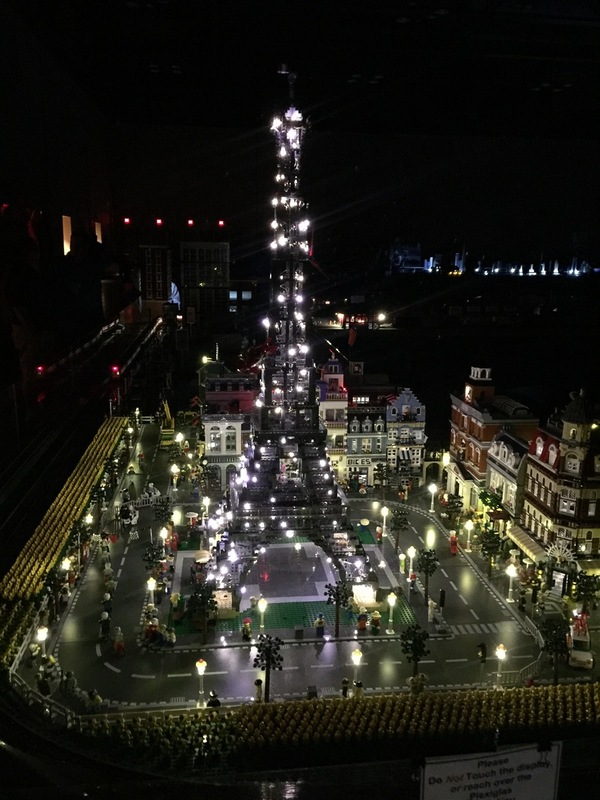 I took some not-so-good photos with my phone, and also a video during the "World of Lights" at Brickworld (where they turn off the house lights and let everyone's LEGO models come to life). Basically we made some custom-length light strings for Jim (long ones!) with our flashing white lights. He strung them around the superstructure, and everything twinkled at night. Hopefully Jim picks up on this thread and can add more info about how he approached the wiring. Thanks again for asking your question! 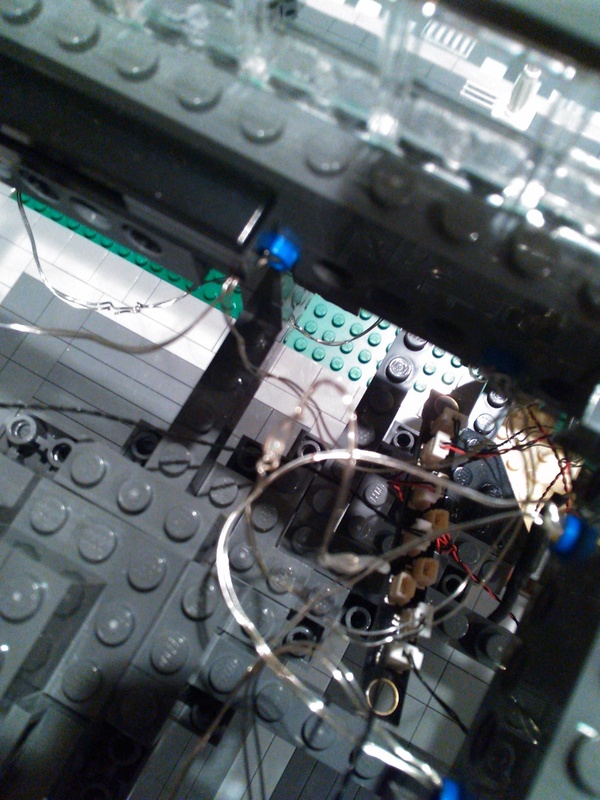 I also ran the wires through the headlight bricks, the 1x4 fence pieces, and Technic holes in different locations, depending on what the model gave me to work with. Rob provided me 12 cables of 30 LEDs each. 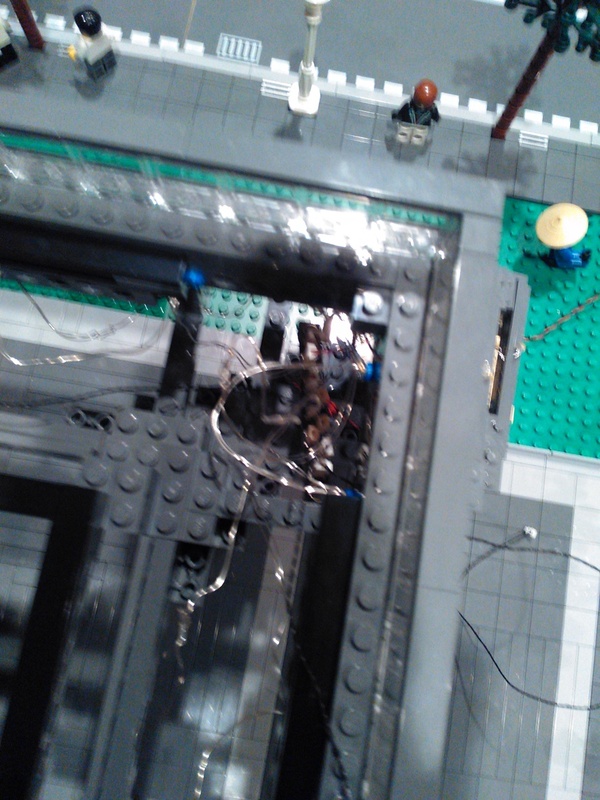 I pretty much ran each cable on one side of each segment (when you build the ET, it is "modular" into 3 sections). I have kept this arrangement in that it helps me transport the model. The middle and upper sections plugs into the 1x8 connector in the base segment . In the middle and upper sections I use 1x2 boards to connect the 4 strands together near the bottom of each section. 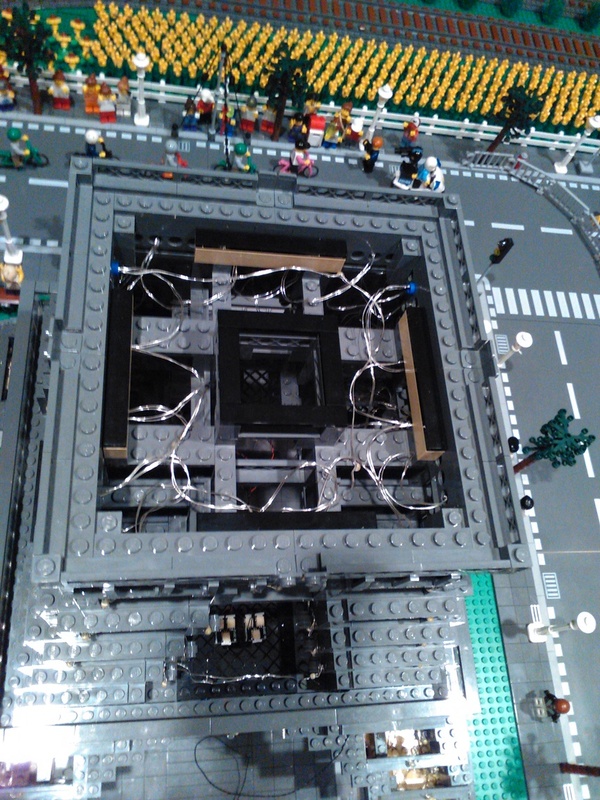 The wires actually help the model stay together as it is a more fragile LEGO build. 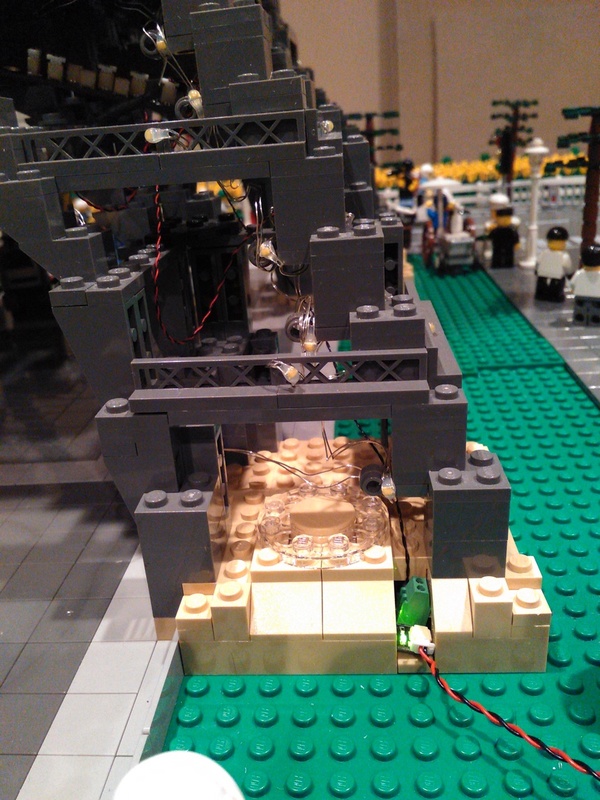 In one of the bases I hid the switch that allows me to turn on and off the tower independently of the rest of my layout. Jim Pirzyk Thanks fo sharing, Jim! I'm having trouble getting the file to play-- it's showing up as an m3u8 file? Having just completed an epic 320 mile cycle ride to Paris I have looked at 20181 Architecture Eiffel Tower as a little momento to go with the thank you gift we received. I have seen some Red White Blue LED kits on Bay but would rather do the normal illumination and flashing. Is this possible to do on such a small kit? To ask more of Rob Klingberg :) I was also wondering if we could get strands that are programmable, i.e. I want this strand to display red lights, this other one white, etc. and then at other times turn them all back to white. All chasing of course. I would think so but the density of lights may not be that great. If I had to guess, I would say having 2 of the 10 light strands would do it. Not sure if you went to 4 strands would the wires show too much. james may The normal illumination would of course be possible. The tougher question is the flashing. 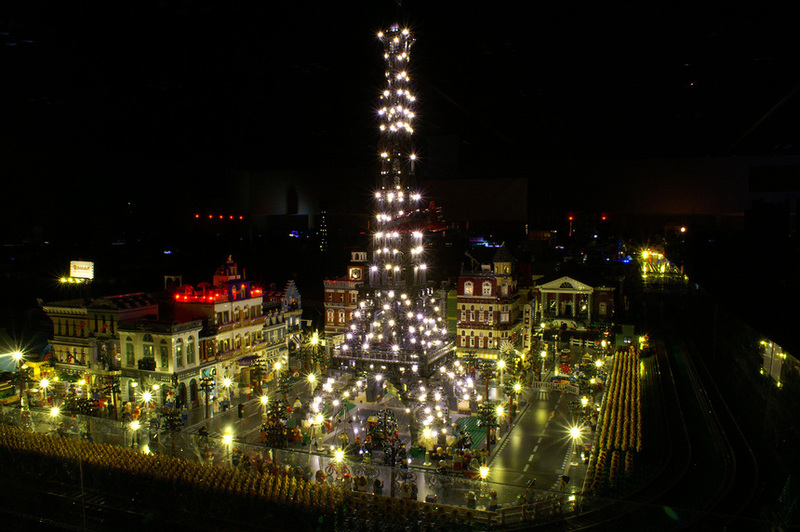 The light strings we have (color-changing and twinkling) and most others commercially available use "teardrop" lights on a metal wire, which are larger than the scale of the small Eiffel tower model. It might be possible to achieve using our new STP (Smaller than Pico) LEDs, which are tiny LEDs soldered directly to wires. 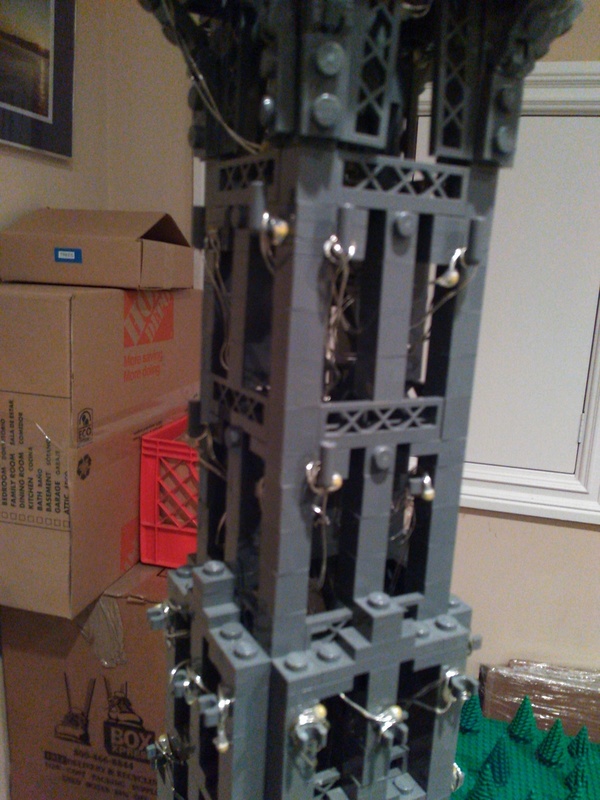 The only question there, since they are not in a string, would be how to hide a lot of wires coming down the tower. Rob Klingberg 21019 is the one I meant 😂 if it would be far more simplistic and cheaper to do just a normal illumination then I would do that route. It would be on a glass shelf above tv & eye line so not too bright would work. james may OK we're extremely busy at the moment but I'll see if I can find time to build my set and see what the lighting options might be.